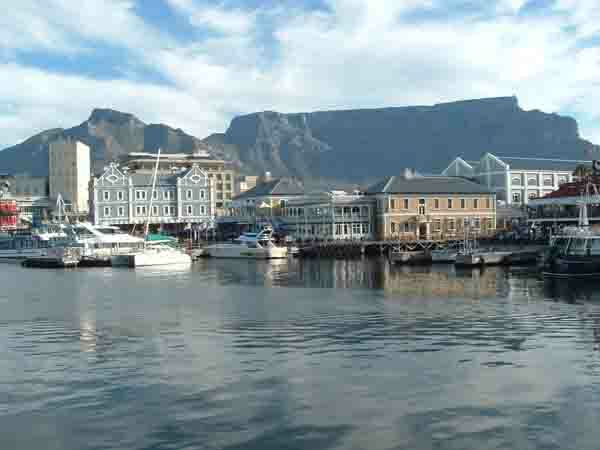 Cape Town's V & A Waterfront once was a dilapidated virtually unused harbour. Many large buildings were standing rotting on the quays and were a haven to rats and mice. Nobody in his right mind would venture near the place as it was considered dangerous to go there. At that time the harbour fell under the control of the SAR & H. (South African Railways and Harbours) It was felt by the authorities that if Cape Town wanted to attract visitors from abroad a decent upmarket venue had to be provided for them. To find land for such a project especially in the centre of Cape Town was a problem. Looking around the authorities found that the SAR & H was sitting on a number of properties where the land was being under utilised. Three properties were identified for further study. The Cape Town station with its parking deck and its central position in the heart of Cape Town was one of the properties looked at. Culemborg which was a storage yard for goods arriving and departing from Cape Town by rail was the second property that was considered. The third was the unused Victoria and Alfred harbour area. After careful consideration and planning two of the three properties were chosen to be upgraded. The V & A Waterfront was the main one and the secondary upgrade was the area around the Cape Town station where underground malls were built beneath Adderley street with access from the station, the Golden Acre and St Georges Mall. The whole length of St Georges Street was closed to traffic and brick paved to become a walking mall. Trees were planted up the the centre of the mall to provide shade. Today this area is a hive of activity especially during lunch hours when people enjoy their lunch at the many cafe's and restaurants that have blossomed there. Street vendors have been allowed to set up shop in the mall which adds to the attraction. 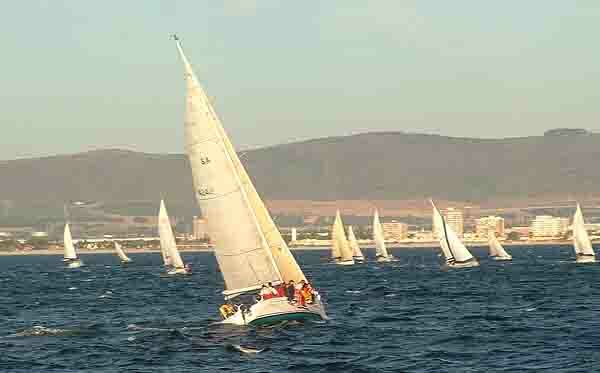 The renewal of the V & A Waterfront is a mammoth task and is ongoing as I write this article. To date buildings on all the quays that form part of the Waterfront have been renewed and contain shops, offices and restaurants. Every nook and cranny has been utilised if not by buskers then informal and formal markets. Being a working harbour has enhanced the area as there are always boats moving in and out of the various quays. If you have the time take the cruises as the harbour is extremely interesting and has quite a chequered history. To the west of the complex there used to be a tank farm where bunker and other oil supplies were kept for shipping. These tanks have been removed and the ground excavated. Walls that once held out the sea were opened up and the tank farm was flooded to form a new basin for small boats. Part of the renewal was the construction of a number of five star hotels on the site of the old Cape Town power station at the bottom end of Long Street. As Cape Town was established on the coast and now finds itself a number of kilometres inland due to reclamation of the Foreshore it was decided to build a canal from the waterfront to the new Convention Centre to bring the sea back to the people. The canal has become a reality and a water taxi now plies from the Convention Centre to the Waterfront along the canal. At the Waterfront the canal ends abruptly in midair as it is a couple of metres above sea level at this point.When construction of the new upmarket apartments around the edge of the tank farm are complete I assume that the canal will be extended around the edge of the new basin to give access to the Waterfront proper. With all the changes that have taken place in Cape Town over the last few years Cape Town has become one of the favourite destinations of holiday makers. As schools have restarted for 2005 and all the local holidaymakers have gone home it is time for our foreign visitors to arrive. At this time of the year the weather is great, the wind is starting to abate and in my opinion its the best time to visit us. Book your trips today, we would love to see you here.